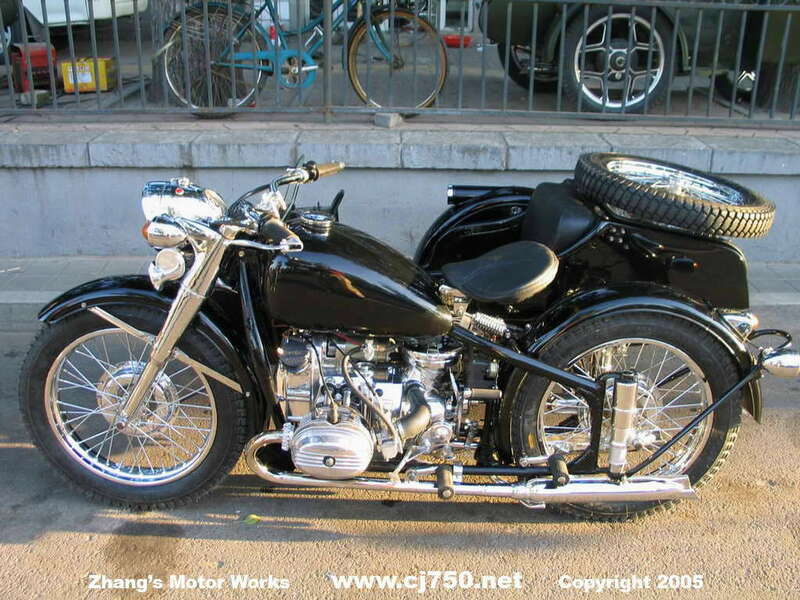 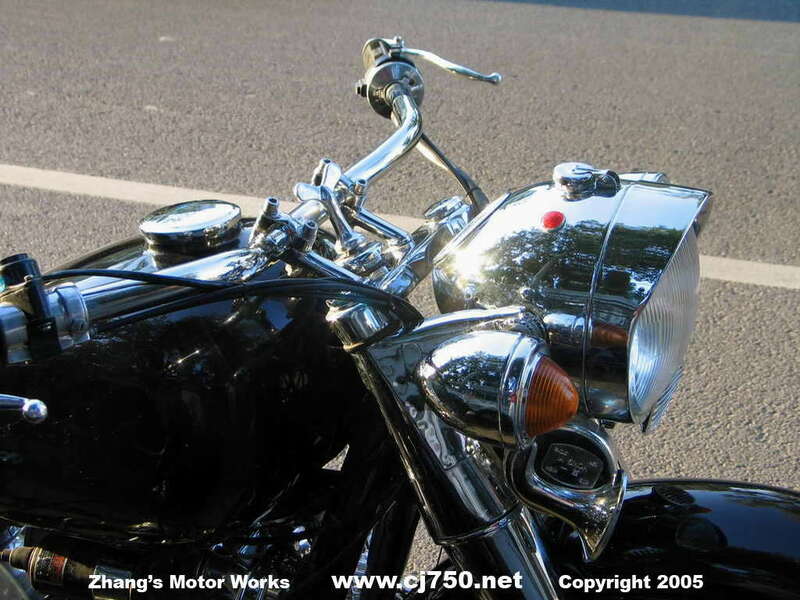 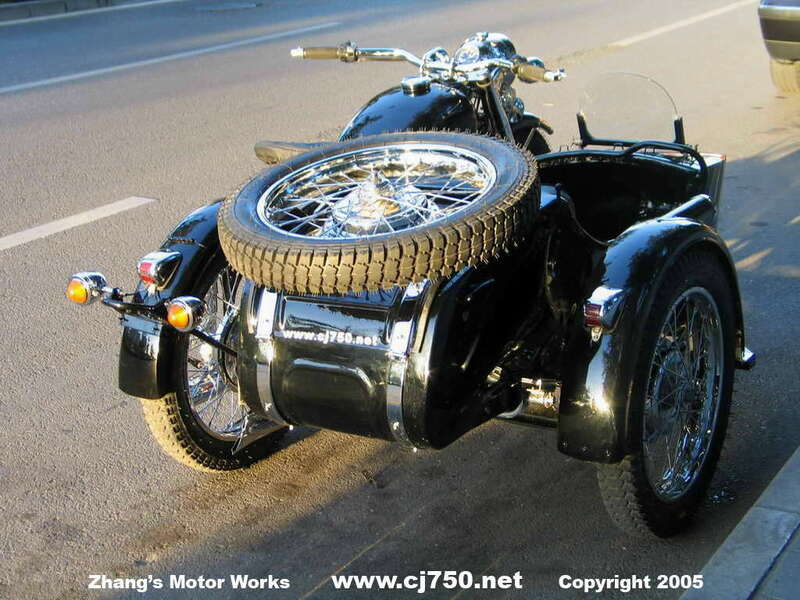 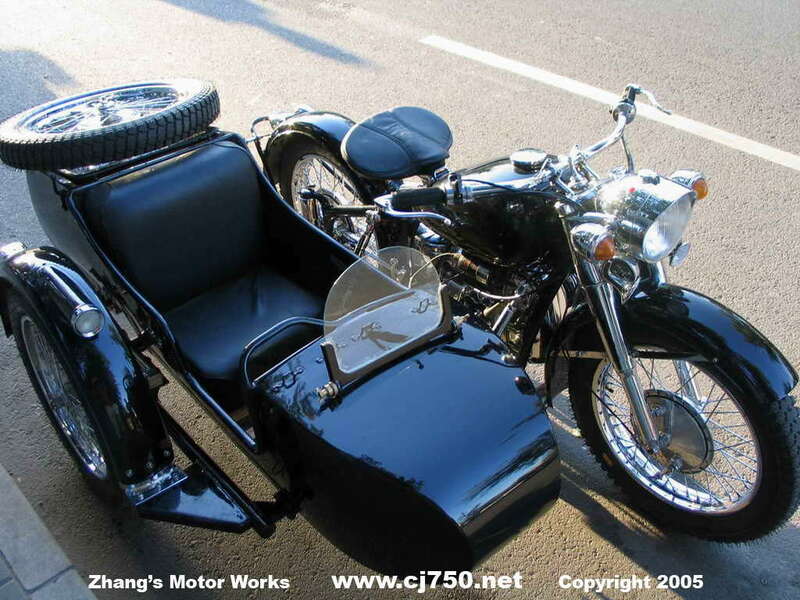 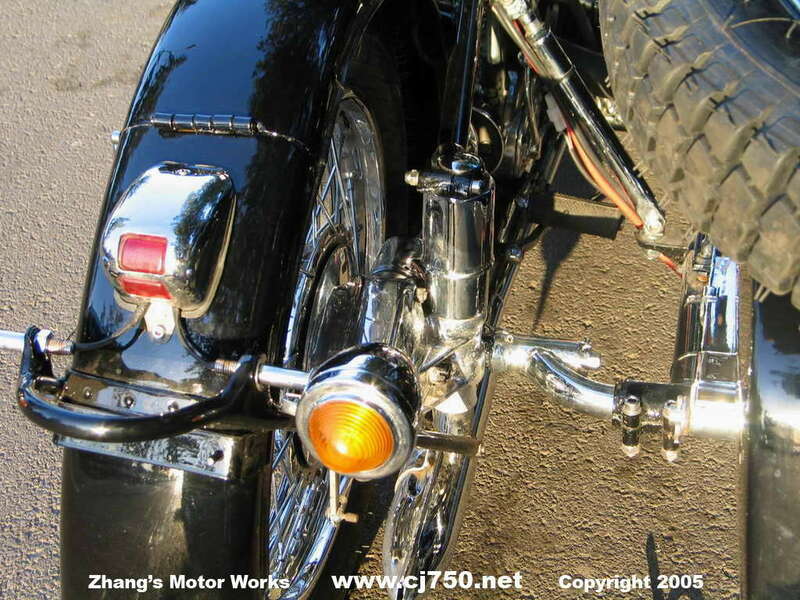 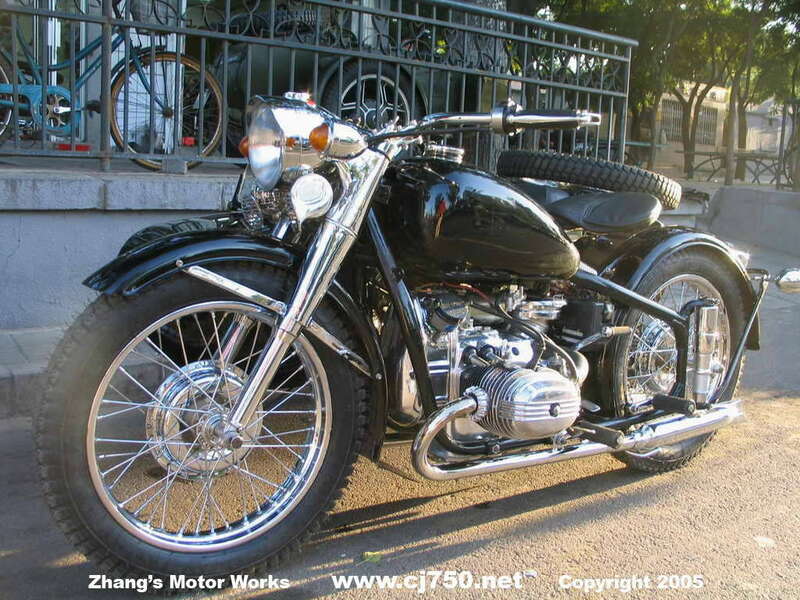 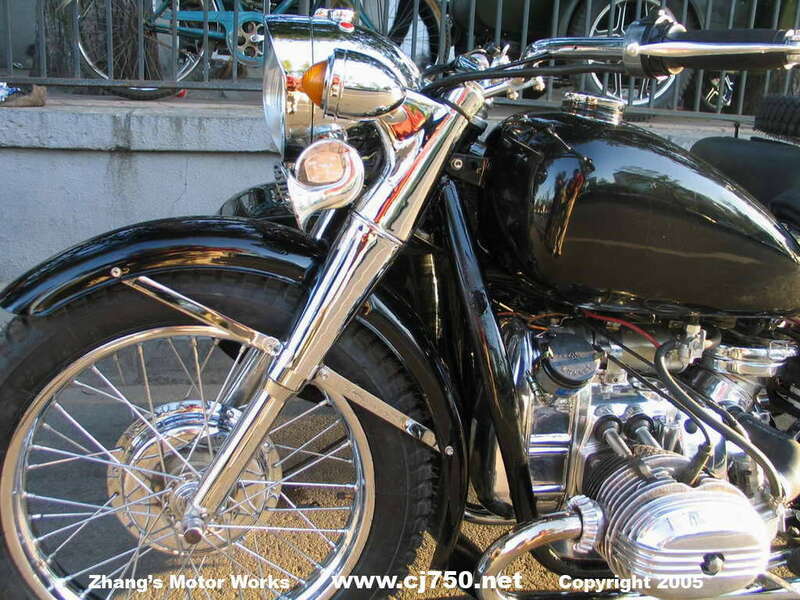 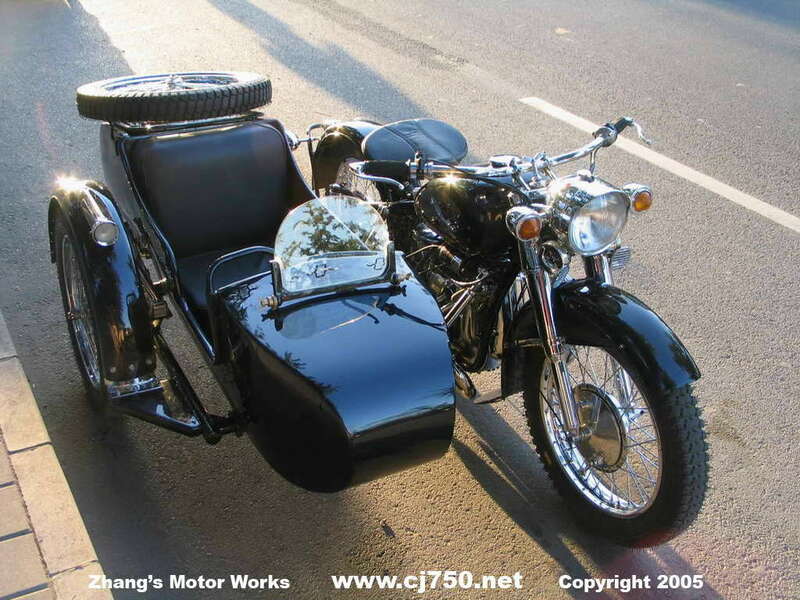 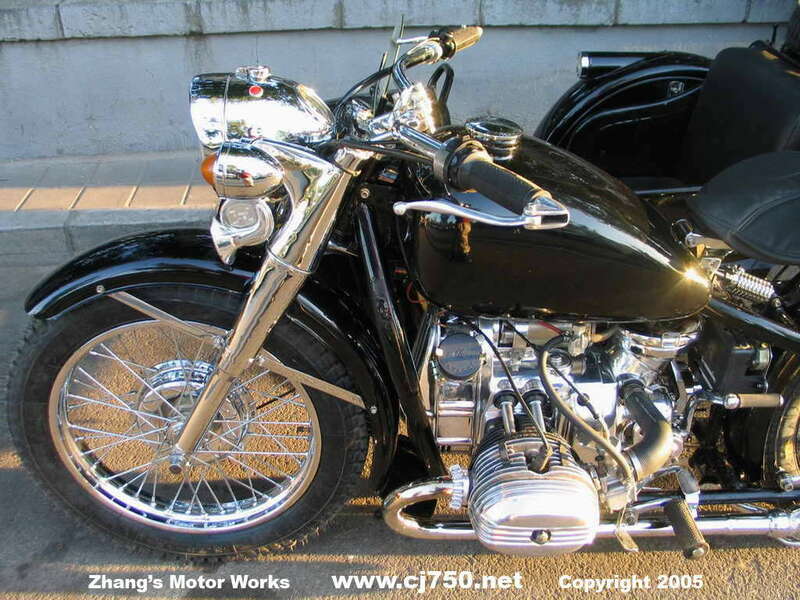 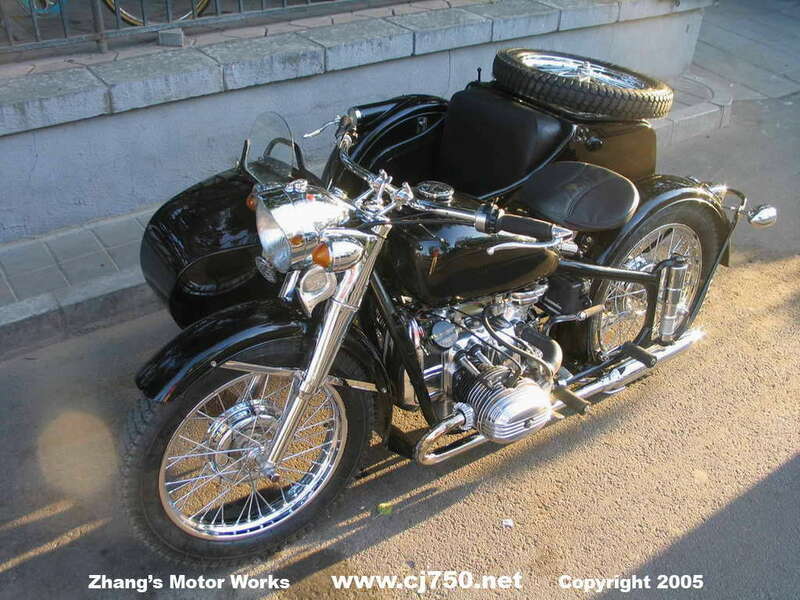 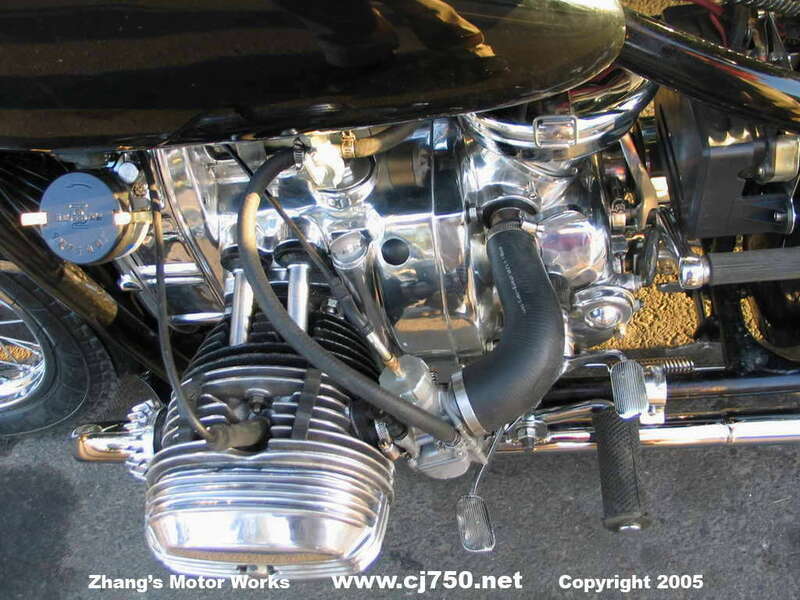 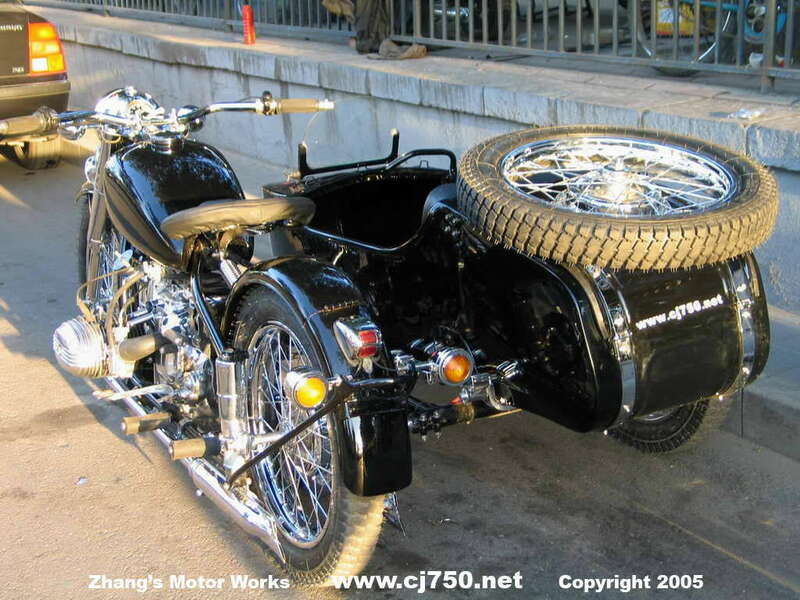 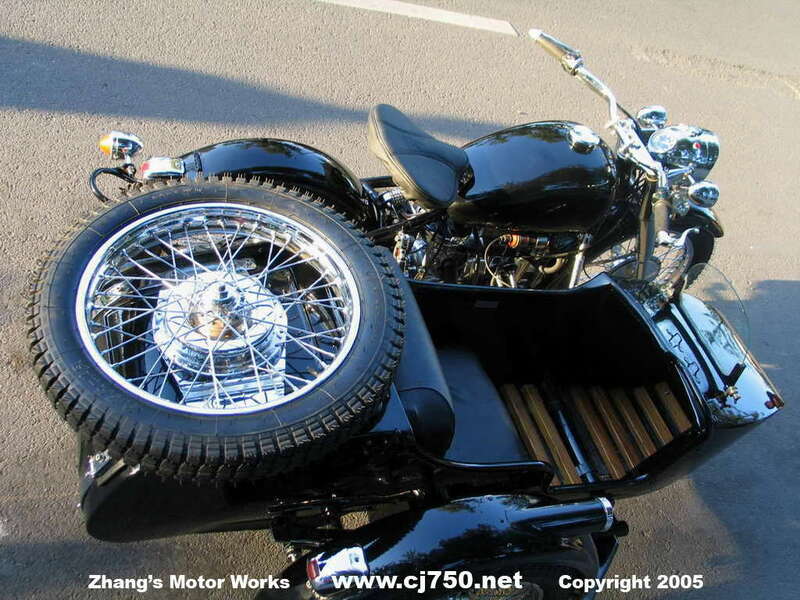 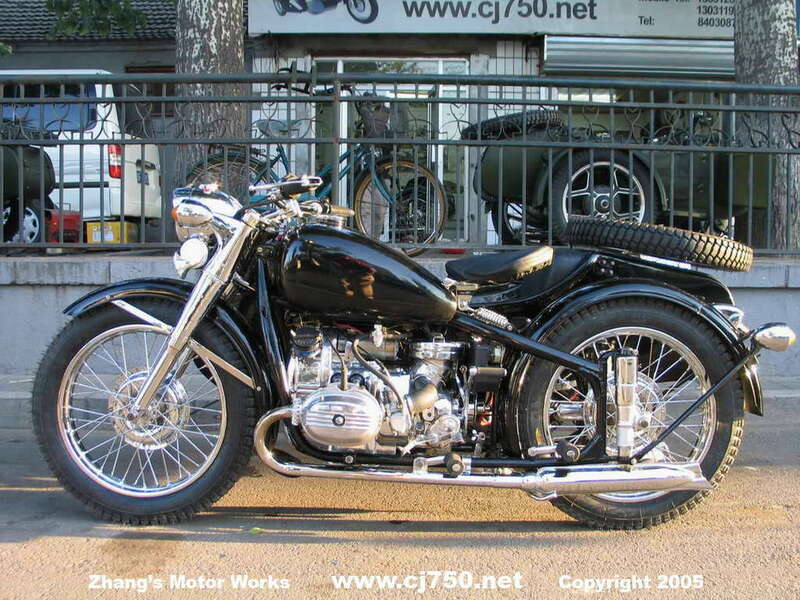 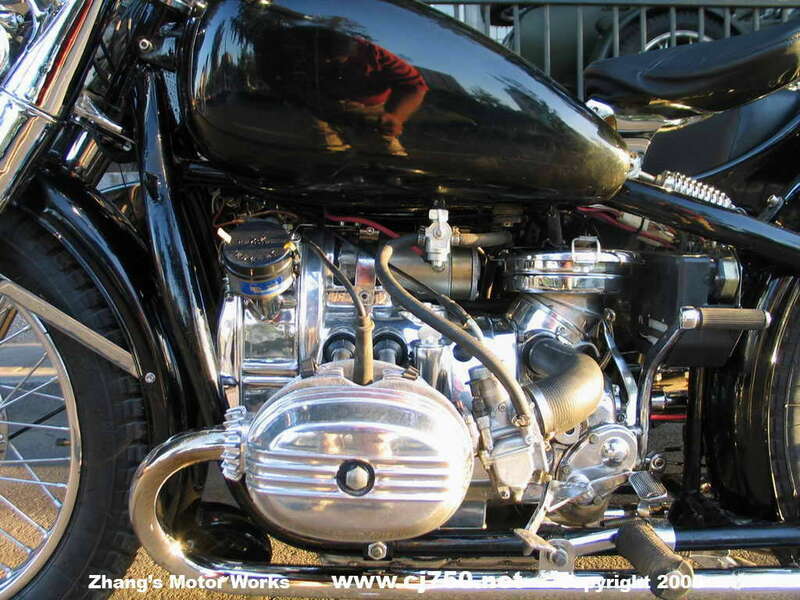 This black Chang Jiang 750 sidecar restoration with an all chrome front end is one of ZMW's finer restorations! 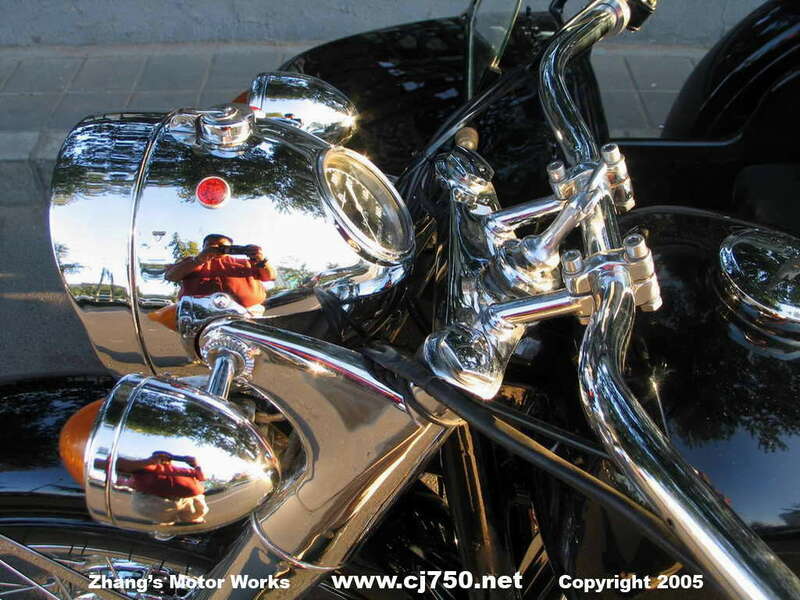 All of our premium restoration uses excellent chrome, new engines, imported paint, check out our details on our premium restoration details page. 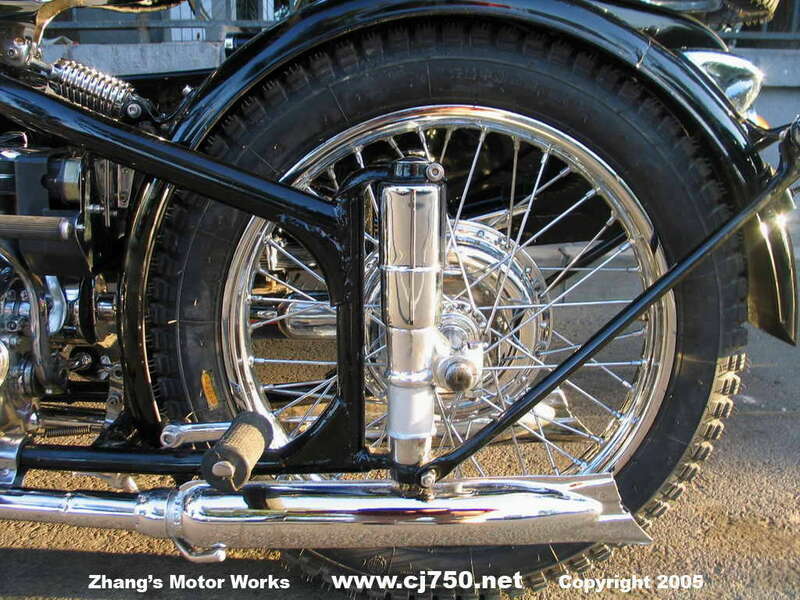 The frame has not been rewelded. 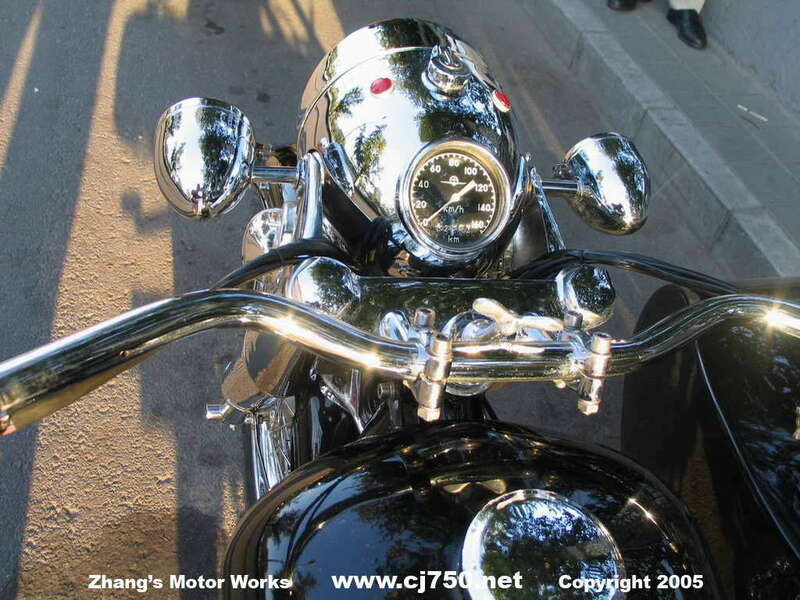 We have a few variations to the amount of chrome on the front end. 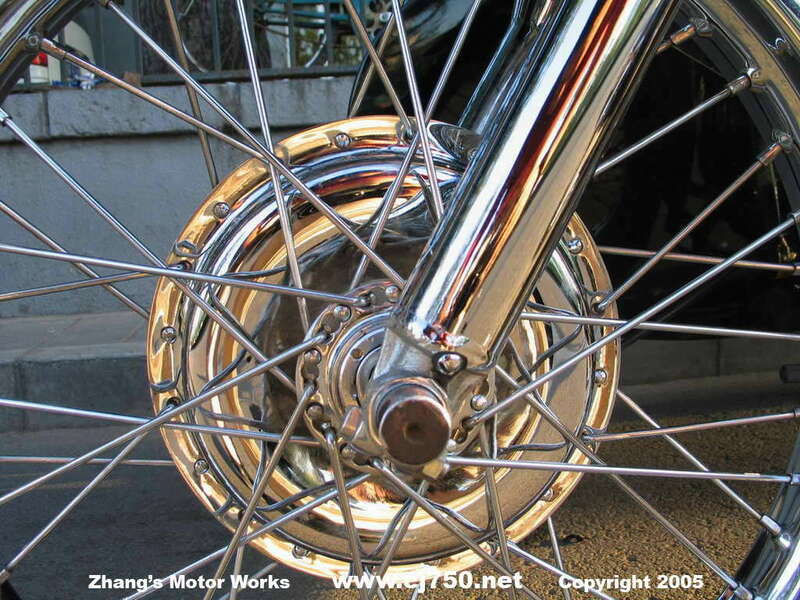 Some riders like the whole fork chromed, others prefer the top to be painted and only chrome on the bottom section of the shock. 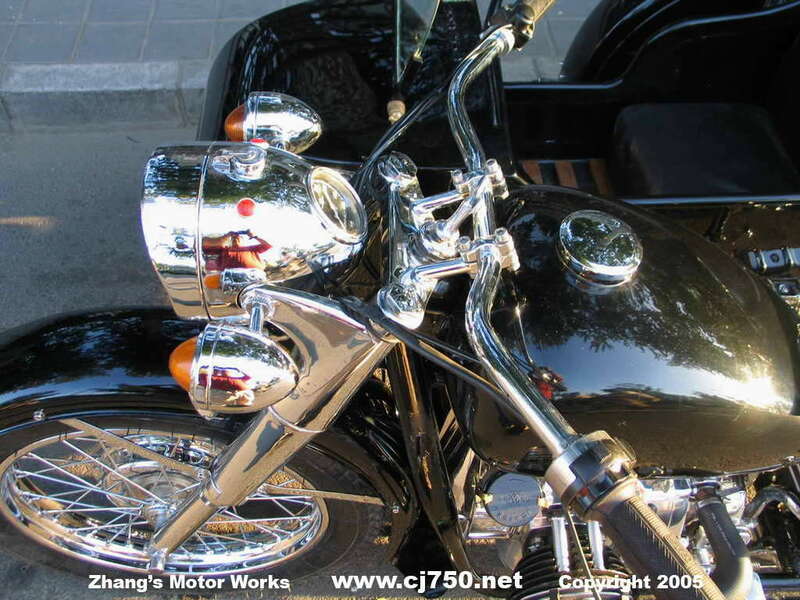 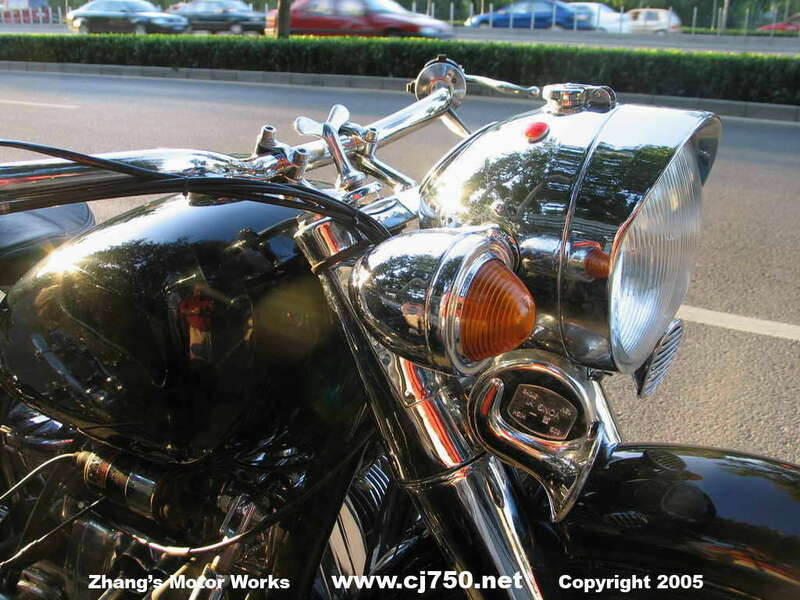 We have fully chromed headlamp assembly with excellent chrome. 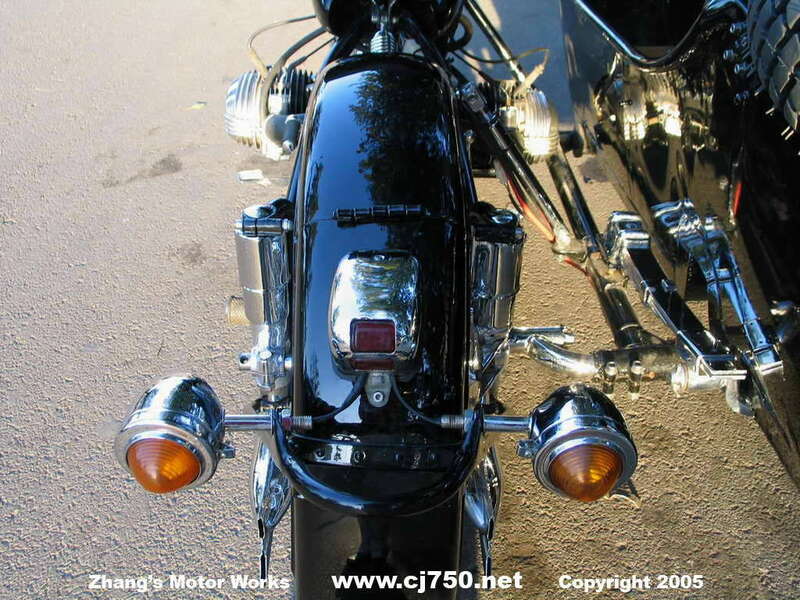 Read our FAQs on chrome and you can also compare good chrome to stock chrome on our tail lights page. 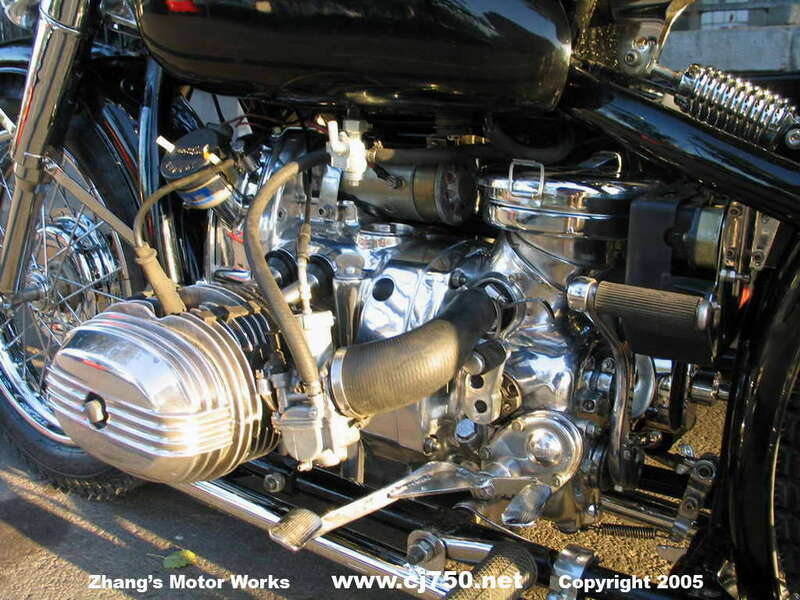 For better response and high speed, most of our clients prefer the high performance carburetors and high speed 4th gear. 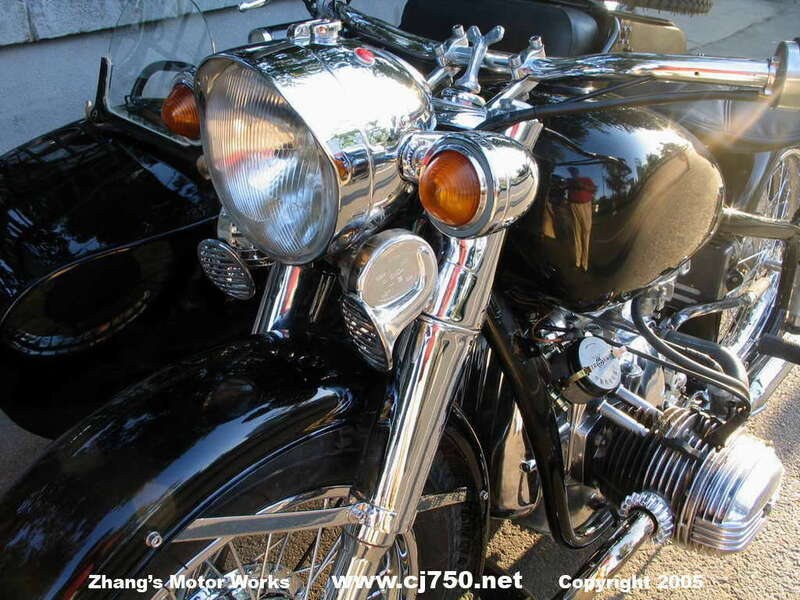 Visit us and see first hand how beautiful our premium restorations are and importantly at an affordable price.